There are plenty of photographers who use Photoshop and other Image Editing Software to edit and process their photos. But what if you don’t have hundreds of pounds to spare? Depending on your needs, sometimes even free web applications do the trick. In order to customize your shots with lots of creative online photo effects & filters, simply upload your pictures to an online image editor and show your creativity. What is an Online Picture Editor? An online photo editor is a web app which lets users do intrusive photo editing via their browser. They are a good means of learning for novice designers and photographers. Similar to various Photo editing tools, these online image editors are equipped with lots of features & editing tools which makes editing & designing done in few simple clicks. So rather than focusing on well-known, high-priced Photo Editing Software, try using these amazing online photo editors. Most of them are free, while the paid ones are also worth trying. There are loads of online picture editors in the market, but we chose our 7 Best Favorites that are easy-to-use, possess lots of tools & features and suit both pros & amateurs. When it comes to the best online photo editor, Pixlr is the King. Available in more than 25 languages, Pixlr possess an advanced collection of photo editing tools, backgrounds, stickers & frames for extensive editing. It offers an excellent bunch of online photo effects as well. Additionally, this great platform also offers a free vector graphics editor, Vectr & a set of free graphic samples that you can use to improvise your creatives & existing images. This easy photo maker online is available via your browser, for iPhone & Android platforms. BeFunky is simple, instinctive & one of the best online photo editor like Photoshop. It features a variety of tools dedicated for enhancing image quality. It comes with tons of designing elements, online photo effects, special filters & editing tools that are just perfect for creating banners, brochures, postcards, invitations and other creatives. Though the interface looks quite messy but it’s an ideal option for bloggers and people looking to create social media stuff. This free online image editor is available for Web, iOS and Android. Price: Free; Premium subscriptions for $4.95 per month or $34.95 per year. PicMonkey is a powerful freemium online image editor that is designed to be a complete Photoshop replacement. Live every other standard online photo editor like Photoshop, this platform provides dozens of dazzling filters, online photo effects, artist-made templates. What makes it stand out of other picture editors is its huge library of 4000+ graphics, 100 textures, 70+ pre-set canvases & 300+ beautiful fonts. It also offers a built-in cloud storage for saving your work online, organizing your collection & easy-access from mobile & desktop. Price: Free Trial is available. Basic Version: $7.99 USD, Pro Version $12.99 USD! Read Also: How to Install Fonts on iPhone or iPad? 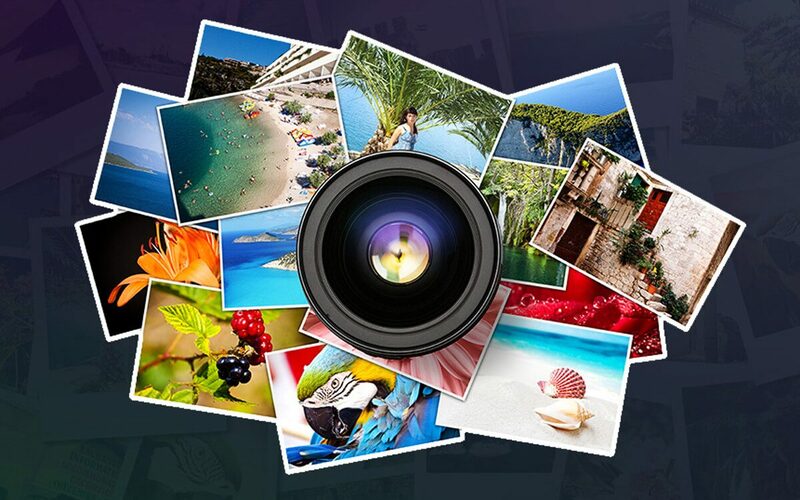 Fotor is a fully-featured online photo editing package with a clean & simple interface. It’s an ideal free image editor for designing business cards, logos, greeting cards & ads. You can edit photos, make a collage and create your own design using this photo maker online. 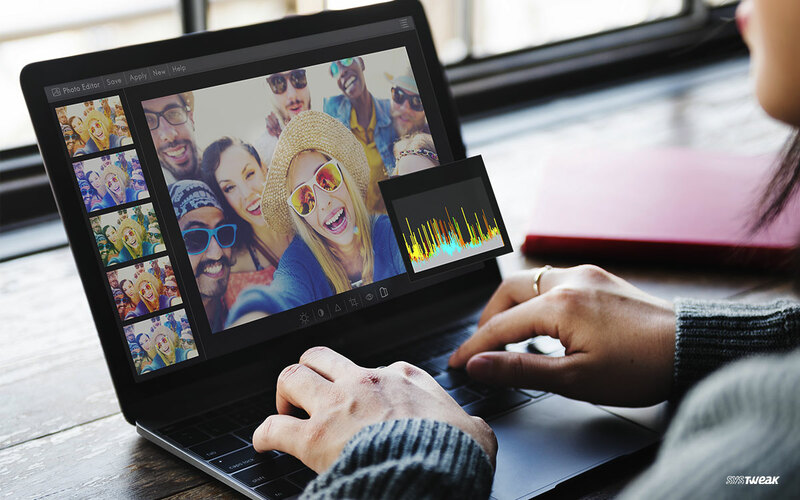 It’s one of the best platforms for beginners as it has a lot to offer, from basic editing tools to clip arts to pre-set templates to collage layouts to beauty retouching features, it has everything you need for intrinsic editing. The Image Editing platform is available in 9 languages, so start creating something wonderful! Price: Free; Premium subscriptions for $8.99/month & $39.99/year. Talking about the Best Online Photo Editors & missing Photoshop is certainly not possible. It’s an excellent bundle of features and image editing tools that are just perfect for extensive designing. Using Photoshop Express is damn simple, regardless of any previous experience, you can use this amazing browser-based photo maker online. It proffers both basic & advanced image correction options for creating gorgeous pictures. You can share them directly through the platform as well, it allows one-tap sharing feature to share on multiple destinations such as Facebook, Instagram, Twitter, Flickr, WhatsApp & many more. Next on our list of Best Free Photo Editors, we have Lunapic a fantastic online media editor designed to work with for both photos and videos. 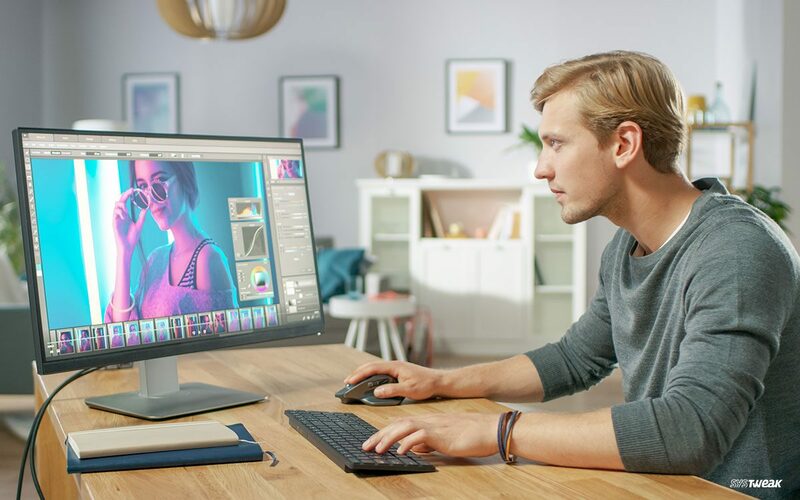 The browser-based platform offers a slick interface & features a ton of drawing tools, animations, online photo effects, adjustments & much more. This free online image editor allows users to import almost every types of video & graphic formats. Moreover, unlike other best free photo editors, Lunapic allows you to open pictures from a web URL, which is quite handy feature while designing and editing. iPiccy is the best free photo editor that offers an easy-to-use interface with plethora of advanced features for some extensive image editing and designing. The only downside with using this online image editor is that it saves the end results in only two file formats: JPEG & PNG. If you are looking for beauty photo editing tool, then iPiccy is undoubtedly the best place. With its blemish fixer, remove wrinkles, add mascara, makes eyes brighter features you can entirely transform your plain picture into a boom. With iPiccy you can either create a picture from scratch or edit existing photos. Look for an online picture editor which is user-friendly, provides a robust set of editing tools, should have fast operation speed and allows you to perform critical & professional image retouching. All the aforementioned Photoshop alternatives have something different to offer. It all depends on your requirements, which online picture editor satisfies your editing needs. Do share in the comment section below, if you know some other best online photo editors!